There’s more to the Algarve than just its popular coastlines. Algarve has more hours of sunshine, than anywhere else in Europe. Very popular, colourful & beautiful seaside town with its famous Fishermans beach, retaining its Moorish character, with a superb year round micro climate, with amazing amounts of all year round beautiful sunshine. Offering a wide and varied choices of many restaurants, shops, supermarkets cafes, bars. If you want to visit the old town it in the evening, the many seafront restaurants and bars come alive with lively music, and good night is assured in Albufeira old town. Situated at the bottom of a steep hill. 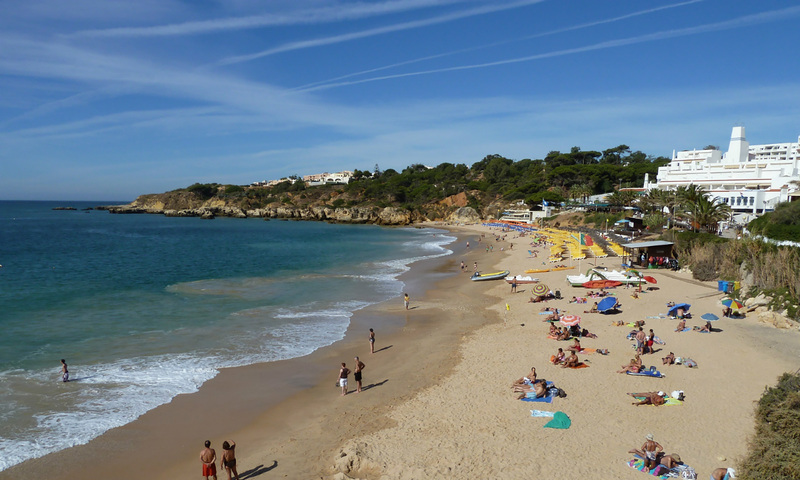 Praia da Oura in Albufeira, is a very pretty and colourful ‘Blue Flag Beach'. Golden sands backed by a promenade lined with cafes, bars and restaurants, including the famous ’The Strip’ a street with many live bars, shops, and restaurants. An ideal holiday location in Albufeira. Quinta da Balaia with its quiet location, low rise accommodation with quality villas, surrounding pine trees, tennis courts, restaurant and mini market. Within easy walking to the beautiful ‘Blue Flag’ beach of Santa Eulalia. Easy walking distance from Quinta da Balaia. One road, with a wide & varied choice of restaurants, local cafes, supermarkets, and lively bars. As for the beautiful ‘Blue Flag’ sandy beach with easy access from Quinta da Balaia, its background low pine trees, landscaped gardens, palm trees and exotic plants, is a must visit beach, ideal for swimming & snorkelling complete with cafes, bars and restaurants. A delightful and very beautiful, small Portuguese fishing town next to Santa Eulalia in Albufeira. This charming, picturesque, seaside town has many restaurants, shops and cafes, including its beautiful ‘ Blue Flag’ fisherman's beach, complete with colourful fishing boats. This peaceful resort is set in green and relaxing environment with a select and good variety of a shops, cafes, supermarkets, bars and restaurants. 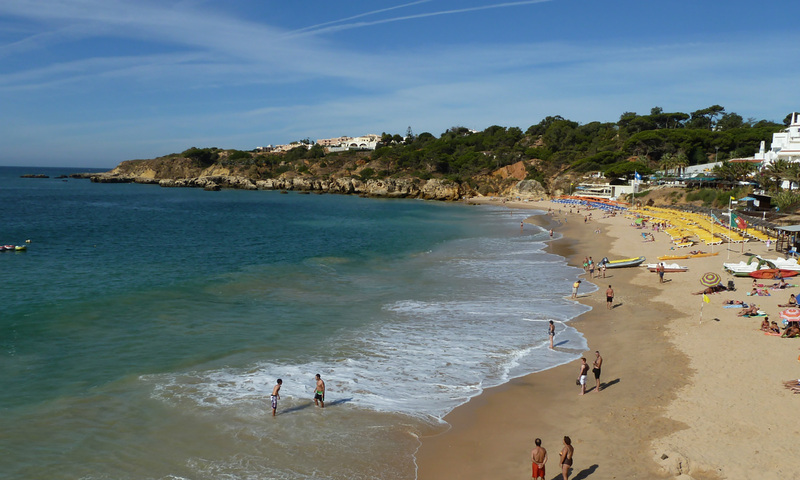 It is also home to one of the best ‘Blue Flag’ beaches in Albufeira and the Algarve, with a long stretch of beautiful sands. 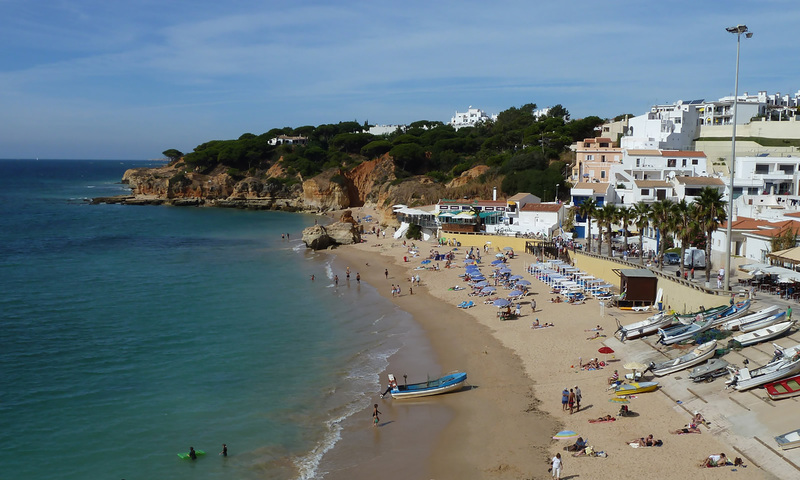 Located to the west of Albufeira marina, quite town with many stunning ‘Blue Flag’ beaches including Sao Rafael, Arrifes, Coelha, Sao Lourenco, all with a restaurant. Within Gale, there are cafes, supermarkets, restaurants, including Gale beach itself with a few beach restaurants. 5 kms of sandy beach, stretching all the way to Armação de Pera. Guia - a charming, quite village with everything you require for a good holiday, daily fish & vegetables market, local butcher, several cafes, chemist, banks, churches, mini markets selling local produce, nearby famous Zoomarine and Guia Shoping, perfectly located just over 5 km from beaches. Guia is also World famous capital for Chicken Piri Piri "Frango da Guia”. Here is the original recipe created, delicious with or without hot sauce, served with fries, mixed or special tomato salad. For desert, a real treat, the special Algarve delicious desert, a tart with locally grown figs, almonds & alfarrouba. 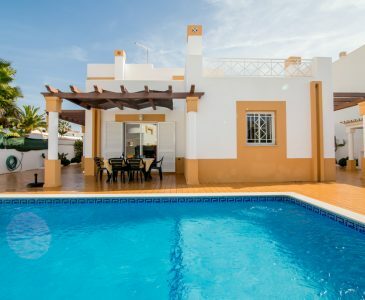 Quinta dos Alamos - Very attractive, quite resort with stylish low rise quality villas with many green areas, great walks guaranteed, including the nearby Cliff Richard vineyards, the Friday outdoor market, all with easy walking distance to the adjoining Guia centre. Tavagueira - Part of Guia, with lots of green areas and countryside, ensuring relaxing and enjoyable holidays, with our selection of villas with private pool. Vilamoura - Is a popular resort set in 4,000 acres of landscape, offering a colourful marina, sandy beaches, many restaurants, bars, casino and lots of sporting activities including many championship golf courses. Quarteira - Once a tiny, coastal fishing village. The original fishing community remains and freshly caught fish is sold in the daily fish & vegetables market, is served at the many restaurants along the seafront promenade with tall white buildings. Vila Sol - Luxury Villas, Golf & Resort is located just behind Vilamoura. Set in beautifully 371 acre (150 hectare) estate of pine trees, lakes, gardens and golf fairways. A good location for a relaxing holiday in the Algarve. Boliqueime – Home to some famous people. Located just inland at 45 metres above sea level, affording magnificent views of adjoining, popular Albufeira & Vilamoura coastline. Small village with own train station, pretty square with church built in 1755. Ideal location for a away from it all feeling, yet close to everything. Because at Portugala we offer you Portugal from the inside. Portugal, situated in the extreme south west of Europe, between the Atlantic Ocean and the Mediterranean, is a country with more than eight centuries of history. In the XV century, Portugal led the Discoveries of the globe, and it is said that she ‘gave new Worlds to the world’. Towards the end of the Middle Ages, Portugal sent her sailors out into uncharted seas and they were the first Europeans to discover the Atlantic passage to India and China. Superb accommodation, great locations, excellent prices, all personally arranged by Portugala in London and Portugal. Our home is your home for your all too short stay, so like good hosts, we’ll ensure you enjoy a great time in every way we can. Especially when it comes to attention to detail in the things that matter most. That’s why each villa has been hand picked with the insight that comes from experience, with you in mind. Whether you’re a young family, a carefree crowd of singles, honeymooners, even second honeymooners, Portugala know just what you’re looking for. Portugal is a small country with only 10.6 million people, it has just over 500 miles of sandy beaches with over 330 Blue Flag beaches awards, which is an immense amount, representing an amazing amount, of over half the number of beaches in the whole of Portugal. 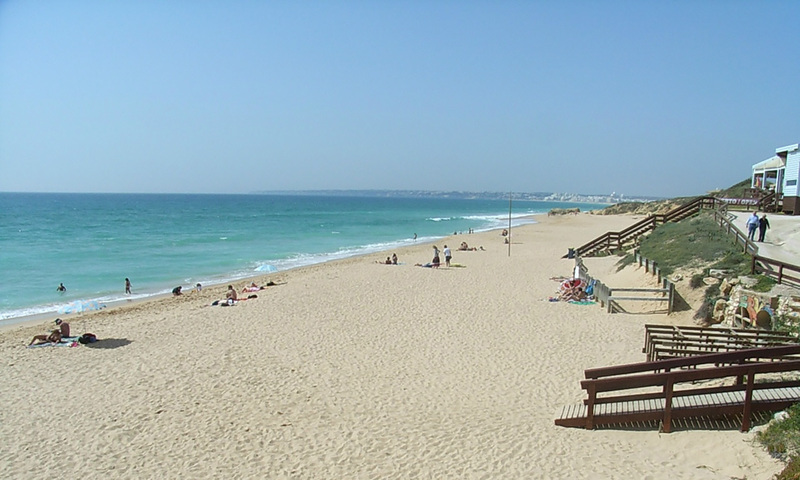 As for the Algarve’s coastline?, there are 82 "Blue Flag” Beaches. 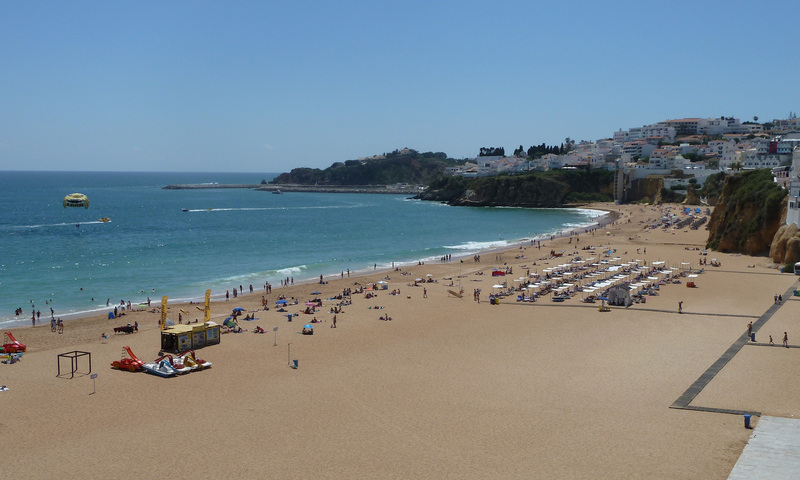 Amazingly, the Albufeira stunningly beautiful beaches leads the way with an amazing total of 25 ‘Blue Flag’ beaches, representing 98% - 99% of all its beaches. Enjoy our villas located in Albufeira and its resorts, Praia da Oura, Quinta da Balaia, Olhos Agua, Falesia & Gale. We also feature nearby villas in Boliqueime, Vilamoura, Quarteira, Almancil, & Vila Sol. 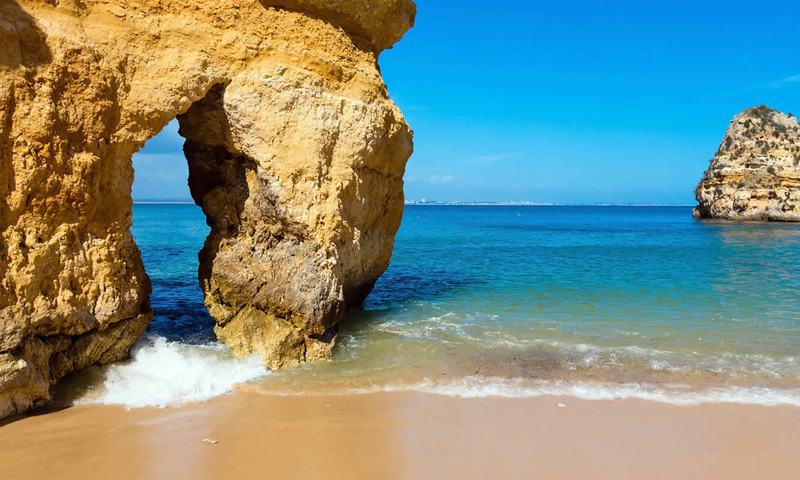 With over 150 miles of superb sandy beaches and over 5.500 hours of glorious sunshine every year, the Algarve has to be a true sun seeker’s paradise. But that’s only half the story because the Algarve has so much to offer, when it comes to places to go and things to do. Starting right from the south West Point of Europe – Cape São Vicent with its famous lighthouses and spectacular views of sea and cliff – it’s here Nelson beat off the French in 1797. Then there’s Sagres – where Prince Henry established his famous school of Navigation. How about a visit to to the market?, or if you prefer life besides the sea, there’s no better place for water sports than the Algarve’s Albufeira. 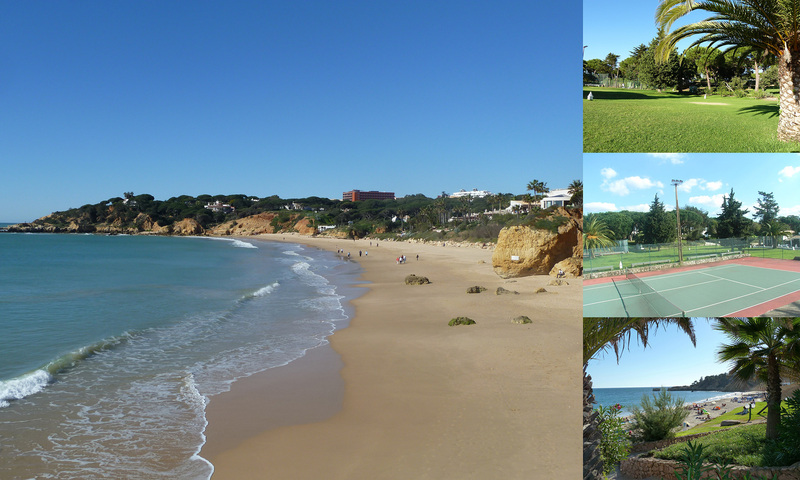 And if you a sports man or woman Algarve has it all from golf to tennis. It’s all good exercise to be rewarded by some fine local seafood, washed down with excellent Portuguese wines – all part of the delicious Algarve. A destination to suit all tastes and budgets.